Have fun while you advance your career. That’s the great advantage of AAF Mizzou. Meetings range from ice cream socials to hearing and meeting with leading professionals in the field. The club’s emphasis is not only on advertising but also on public relations, promotions, marketing and merchandising. Pre-journalism students and students from other departments in the university are welcome. The club meets on average once a month. Members also take trips to places like New York, Kansas City, Chicago and St. Louis to meet leaders in their fields and to network in a setting outside of the interview. In addition, AAF Mizzou offers mock interviews and helps publicize internship opportunities. The whole idea of AAF Mizzou is to enrich and extend your college experience. For more information, contact AAF Mizzou faculty adviser Holly Higginbotham or visit @AAFMizzou on Facebook and Twitter. Joining the Missouri chapter of the ACES: Society for Editing can give you a running start on a career in editing. The only dues you pay are to the national chapter, which offers a reduced rate for students while providing the full benefits of membership. We take students to the national convention and to regional workshops. We strive to make our monthly meetings both educational and enjoyable. For more information, contact Laura Johnston. The Missouri student chapter of the Association for Women in Sports Media is open to those who desire a career in sports media. Monthly meetings focus on professional development and include guest speakers who are professionals in sports media. Occasional social gatherings are held. Check out AWSM@Missouri on Facebook and Twitter. Journalism Student Council (JSC) is open to all journalism undergraduates regardless of year in school or area of study. JSC hosts monthly events to give students the opportunity to build relationships with peers, mentors and professors. These might include networking events, resume and cover letter workshops as well as upperclassmen panels. JSC also assists with the May and December commencement ceremonies. No membership is required, and students are welcome to participate in just one activity or become more involved by assuming a leadership position. For more information, contact the associate dean for undergraduate studies and administration, 120 Neff. Kappa Alpha Mu (KAM) is a photojournalism society designed to enhance photojournalism education at the University of Missouri. KAM has existed at MU for longer than anyone can remember and is affiliated with the student chapter of the National Press Photographers Association (NPPA). KAM/NPPA helps students with the challenges of gaining photojournalism experience and building a portfolio for their future careers. To help photographers gain real-world experience, KAM maintains an internship catalog with firsthand accounts of internship experiences. The organization also serves as a liaison between faculty and students in the Missouri School of Journalism’s photojournalism emphasis area. Anyone can join, whether you are a photojournalism student or not, and there are no membership dues. We have organizational meetings each semester, and we provide many services, workshops and resources. Are you a magazine journalism student looking to network with fellow students, faculty and professionals in the industry? If so, the Missouri School of Journalism’s Magazine Club is the organization for you! The club’s members, who range from freshmen to graduate students, typically meet twice a month during the school year. We host speakers, hold resume and intern panels, discuss issues in the industry, and make annual trips to magazines in both St. Louis and New York City. Past students have been able to network with staff at such publications as New York Magazine, Cosmopolitan, HGTV Magazine, Buzzfeed, Entertainment Weekly, Vanity Fair, St. Louis Magazine and Feast. Our trips to these media-centered cities help students get an idea of what working in the magazine industry is all about by having them meet face-to-face with editors, art directors and photographers. As part of the annual trip to the Big Apple, students also have the opportunity to meet MU alumni in prominent media positions during a special evening social event. Interested in joining the magazine club? Great…it’s easy and costs just $10 per year! Visit Kim Townlain at the Vox office in 320 Lee Hills Hall to sign up and get on our e-mail list, which will notify you of upcoming meetings and special events. The MU Chapter of the National Association of Black Journalists (NABJ) is the student chapter for the University of Missouri. NABJ-MU aims to strive for excellence by encouraging diversity, educating through mentorship and promoting unity in the field of journalism. The chapter plans and executes an annual media tour in major media cities across the country. There, they meet with internship coordinators and employers in their respective journalism areas to further enrich their knowledge about journalism and the job search effort. The chapter also hosts an annual MU Unity Conference, an interactive, one-day professional development conference. The chapter holds biweekly meetings and has a robust mentorship program that includes community service. NABJ-MU traditionally oversees The Blackout Online website that MU’s black student body originally founded as a magazine in 1969. NABJ-MU is open to pre-journalism, pre-communication, undergraduate and graduate students. Join the Online News Association (ONA) at Mizzou, where digital journalism, information technology and computer science converge. Our student club, founded at the University of Missouri in early 2011, brings online-media experts to campus, giving students an opportunity to network and discuss the future of news. Anyone is welcome to attend our meetings (not just journalism students). Check out our Twitter and Facebook accounts or our webpage for information about upcoming events. The Queer Media Association (QMA), housed at the Missouri School of Journalism, is a student chapter of the National Lesbian and Gay Journalists Association. We promote fair and accurate coverage of LGBTQ issues and oppose workplace bias within the news industry. QMA also hosts speakers, professional development events and social activities for aspiring LGBTQ journalists and allies. In the past, we have hosted a People magazine journalist to discuss trans coverage in the news media; hosted a screening of an LGBTQ film during the annual True/False Film Festival; brought in a New York Times best-selling author to discuss writing tips; brought in a HuffPost blogger to discuss trans media coverage; and hosted a screening of “The Blue Hour.” The association is open to any students, faculty, or staff who wish to attend. There is no membership fee for this local chapter of the National Lesbian and Gay Journalists Association. Follow QMA on Facebook and Twitter. The Missouri School of Journalism offers a student chapter of the Radio-Television Digital News Association (RTDNA). RTDNA is the largest and most important of the professional organizations in our field. Membership goes far beyond news directors to include other professional journalists, educators and students. Headquartered in Washington, D.C., this group represents radio and television journalists in hearings before Congressional committees and with special interest groups. RTDNA has a code of ethics subscribed to by most of the major radio and television news operations in America, and it regularly leads or participates in court actions in defense of the First Amendment, freedom of the press, and for access by journalists and the public to records and documents. The J-School has long played a major role at RTDNA: More Missouri graduates have served as the elected chairman of the board than have graduates from any other school. The MU chapter meets for discussions and field trips during the school year. Mizzou RNA is the first student chapter of the national Religion Newswriters Association. RNA is an organization of professional journalists who write, report and produce news about religion, and who strive for coverage that has balance, accuracy and insight. The student chapter has educational programs and field trips to learn more about religion and ways to cover it. Members often receive scholarships to attend the annual conference of Religion News Association. Mizzou RNA promotes excellence in media coverage and in student and public discourse about religion. We are a place for Mizzou students to learn more about religion reporting and to network with other religion journalists. We can be contacted at: mizzourna@gmail.com. Climate change, health trends, space exploration – if you care about topics like these, then SHEJ is for you! 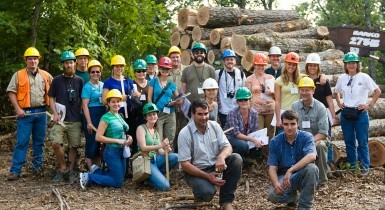 Science, Health and Environmental Journalism @ Mizzou is open to everyone. We give students the opportunity to expand their science, health and environmental journalism skills on traditional and emerging platforms and to network with leading professionals in those fields. We offer travel funding for conferences, bring award-winning speakers to campus, collaborate with other departments on campus and more. Join at bit.ly/JoinSHEJ or send inquiries to faculty adviser Sara Shipley Hiles at hiless@missouri.edu. If you can’t get enough journalism in your life, then the Society of Professional Journalists — known throughout the world as SPJ — is your kind of group. Founded in 1909 as Sigma Delta Chi, SPJ is the United States’ largest and most broad-based journalism organization. With 10,000-plus members, this nonprofit group is dedicated to encouraging the free practice of journalism, stimulating high standards of ethical behavior and perpetuating a free press. The Missouri School of Journalism’s student chapter is among the nation’s largest, with more than 100 active members, and has been recognized in the past as the best student chapter in its region. We host speakers, training workshops and the occasional party, offering our members an invaluable way to connect to the J-School the moment they begin their college career. If you are excited about newspaper or magazine design, we hope you’ll join us at the next meeting of the Student Society for News Design. MU’s group was the first student chapter of the international Society for News Design. We’re a motley crew, but a strong interest in visual journalism pulls us together. Each fall, many of us attend the national Society of News Design conference. Each spring, we host the judging for the national College News Design Contest. At least once a semester we try to bring in speakers who will critique our portfolios and advise us on finding the right job. It’s a fun group that won’t take up much of your time. Anyone, pre-journalism or otherwise, may join. Women in Media (WIM) strives to bring together students and professionals working in media-related areas. The organization seeks to foster a better understanding of the issues, challenges and opportunities unique to women in the professional field. Women in Media members will provide a network to help empower women who want to enter the industry. The campus-wide group is open to all undergraduate and graduate students in any school or college who want to pursue a career in journalism, advertising, marketing or communications. Students interested in joining can sign up for updates at the Get Involved page and follow WIM on Twitter and Facebook for information about upcoming events and workshops. Contact: MizzouWIM@gmail.com.